Did a quick test of star trails with the data from Friday night. Made very small JPG images using Digital Photo Professional, 640 pixels wide. So to evaluate the data, quickly process the 191 frames captured, and quickly stack. 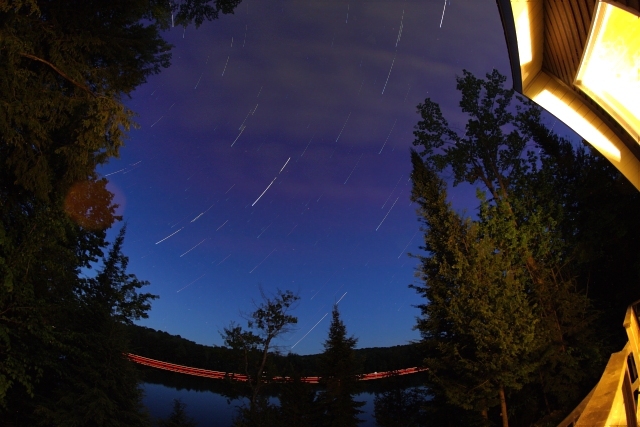 Used StarStaX of course to create the star trails. Ignored the first 55 images as the sky was too bright and threw out the last 25 frames due to clouds. Not bad. Really wanted more data but the south-bound clouds were not going to allow it. I'm still amazed by the clarity of the sky down to the horizon.